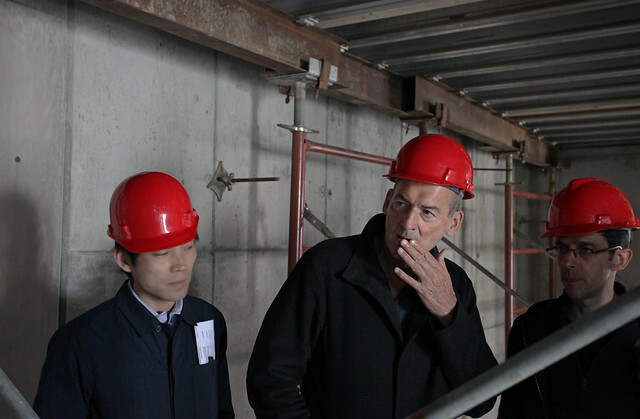 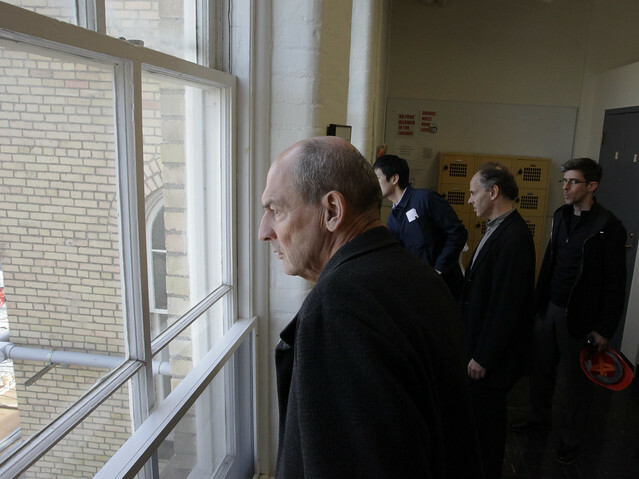 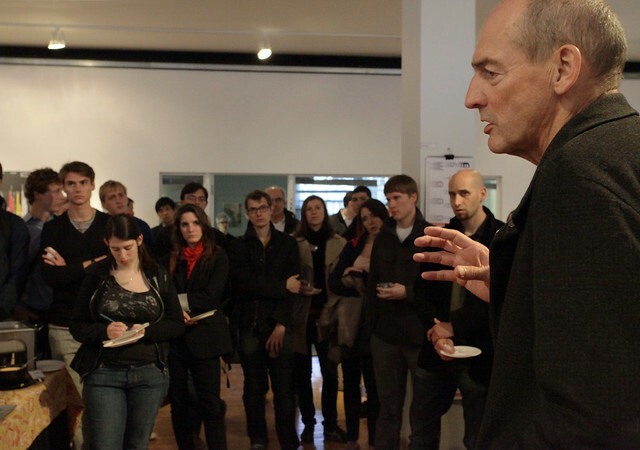 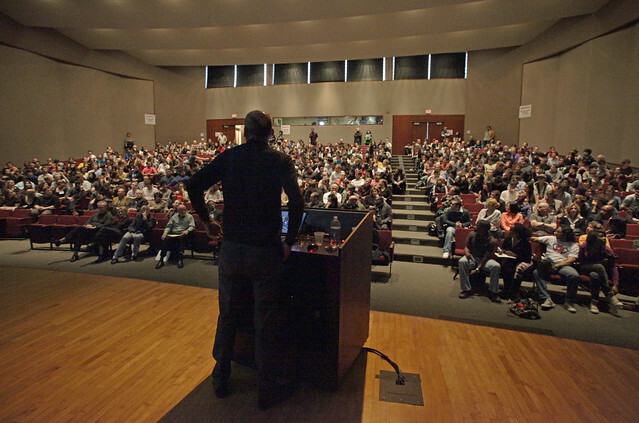 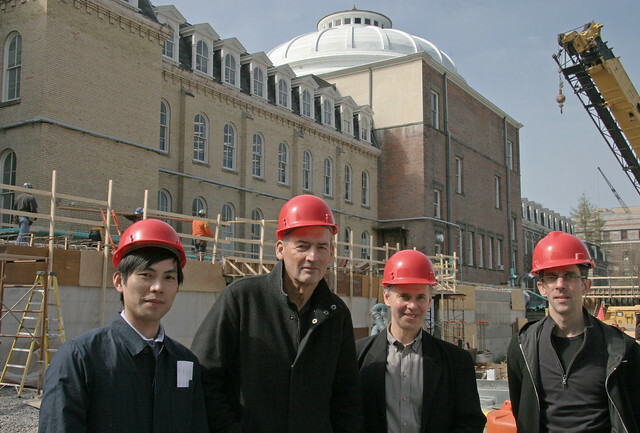 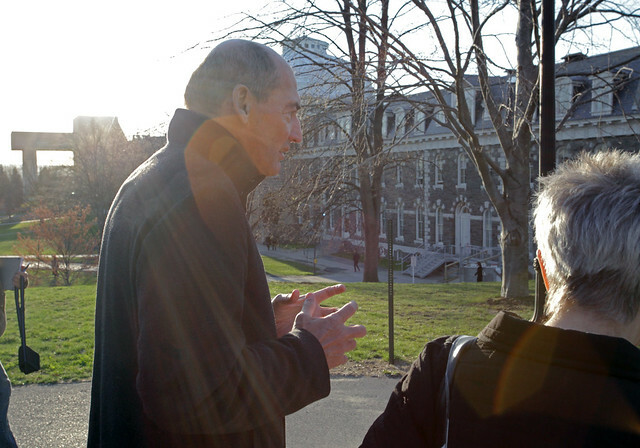 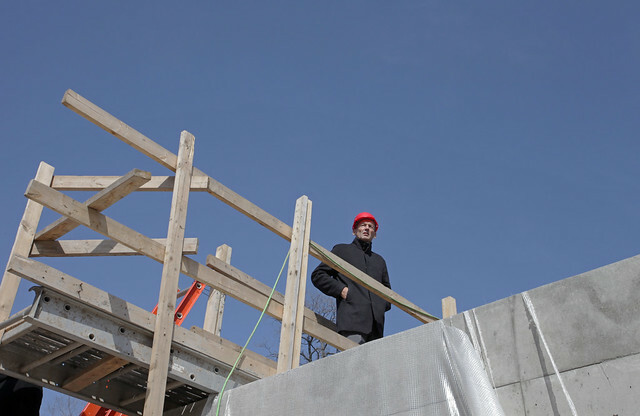 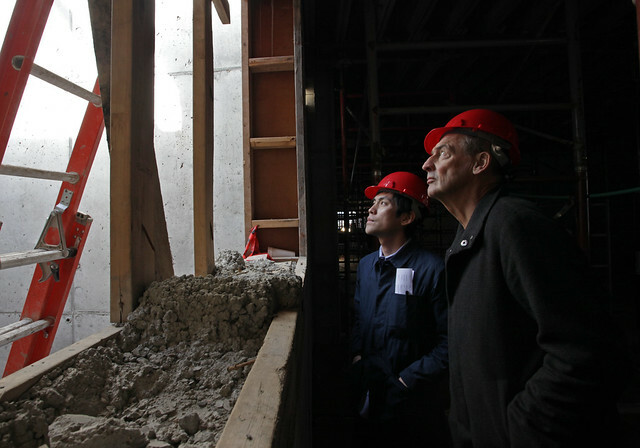 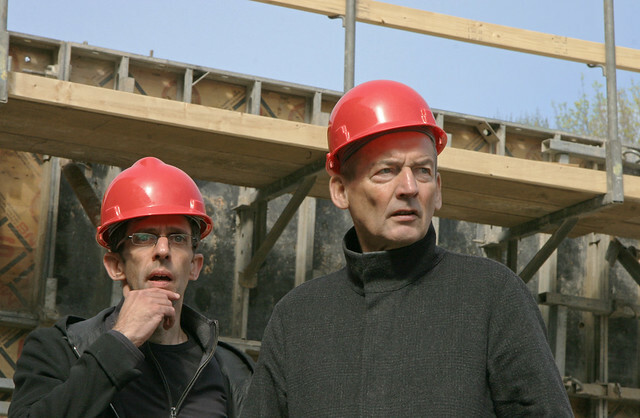 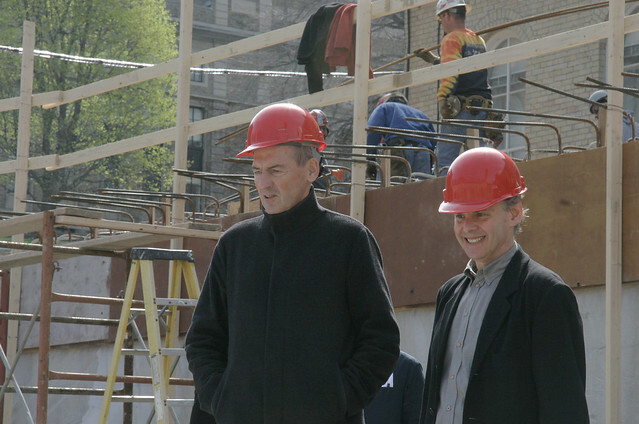 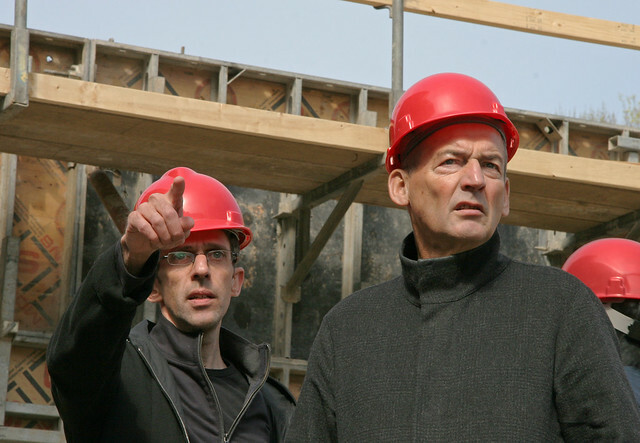 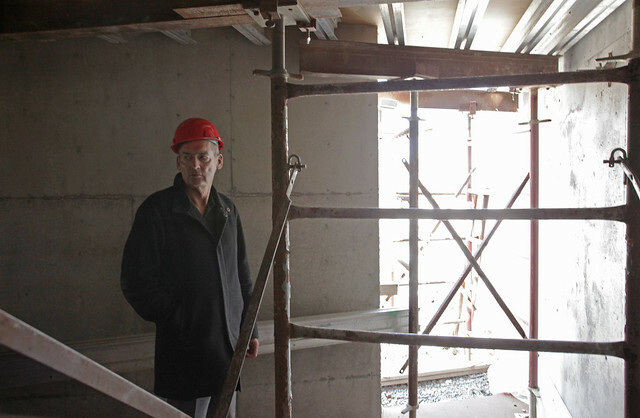 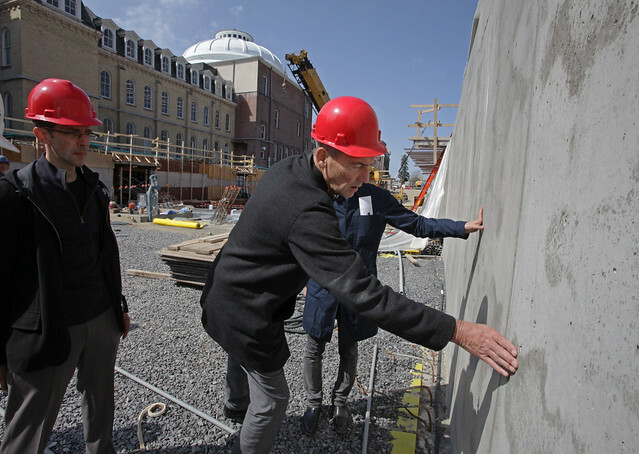 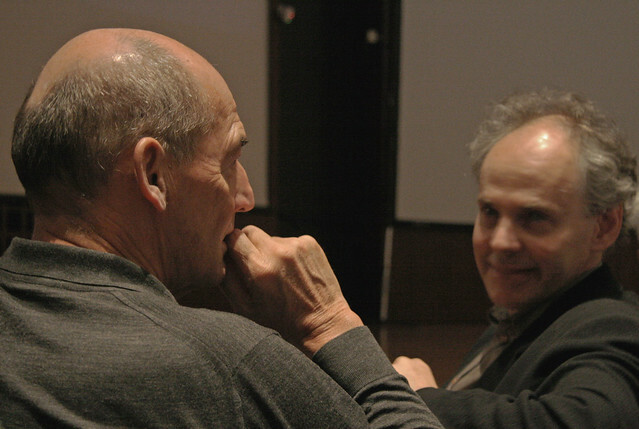 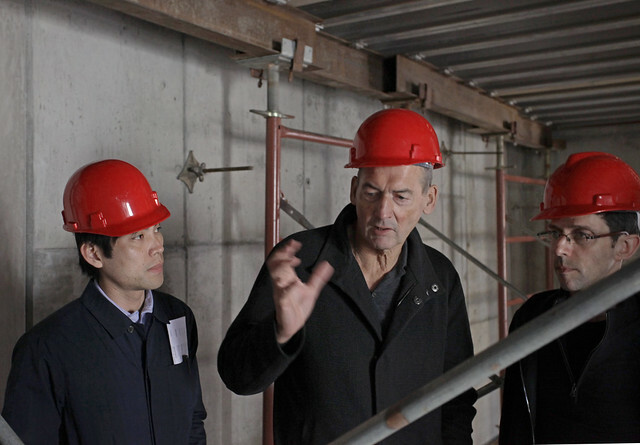 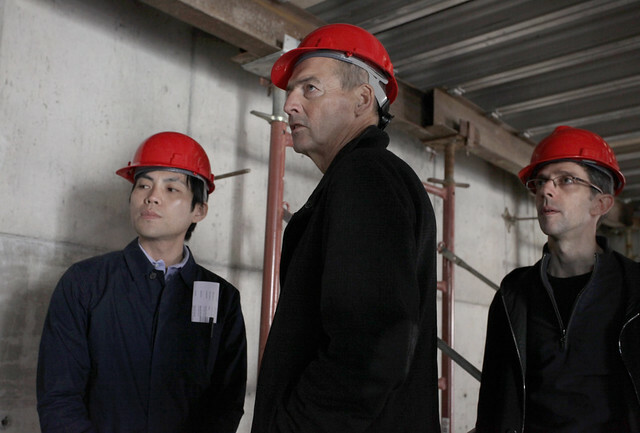 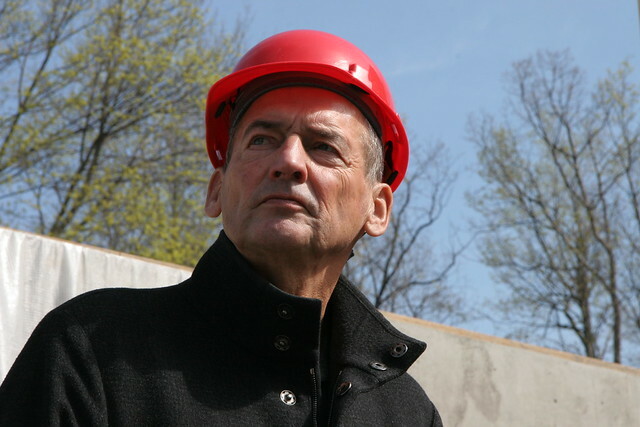 Famed architect Rem Koolhaas’s packed day in Ithaca on April 13 included a hardhat tour, intimate conversations with students, and a lecture to a capacity audience at Kennedy Hall. 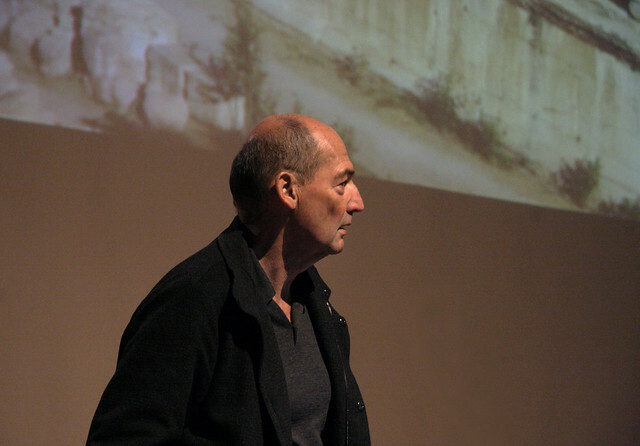 During the lecture, “Stress Test,” in Call Auditorium, Koolhaas illustrated contrasting conventions of architecture over time — from buildings that reflect a society’s values to those that represent only their designers. 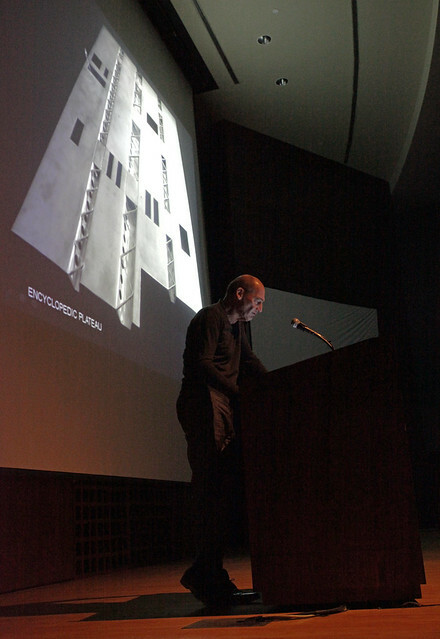 “The status of the architect has also become very problematic,” Koolhaas said, showing slides of Peter Eisenman (B.Arch. 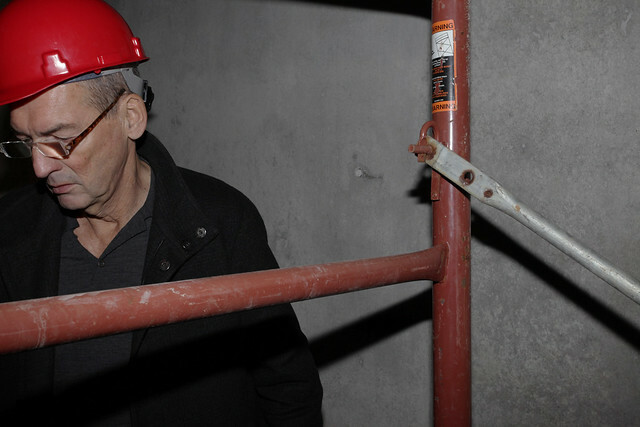 ‘55) being mobbed by the press at his Holocaust memorial in Berlin, a beaming Daniel Libeskind with his Freedom Tower model, and a serious, anonymous East German architect holding a blueprint on a 1960s public housing construction site. 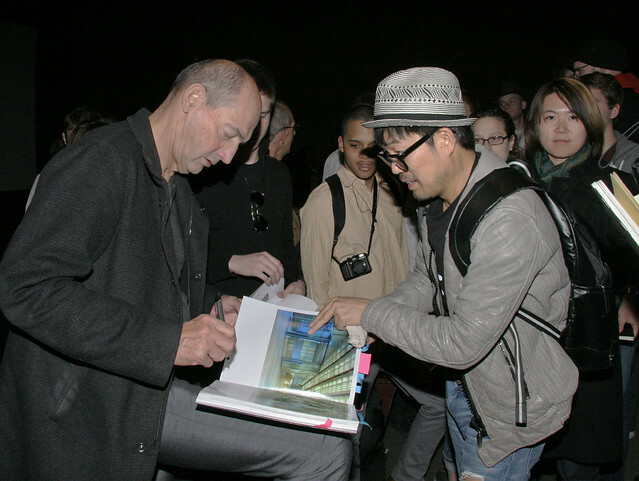 The lecture also focused on the American work of his firm, the Office for Metropolitan Architecture (OMA), over the past 10 years including Paul Milstein Hall, currently under construction on campus. 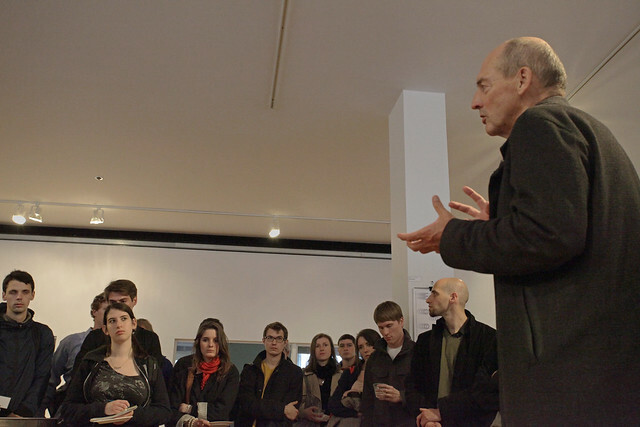 After the lecture, a reception in Hartell Gallery gave students, faculty, and visitors from as far away as Albany and Toronto the opportunity to ask Koolhaas questions in an informal setting. 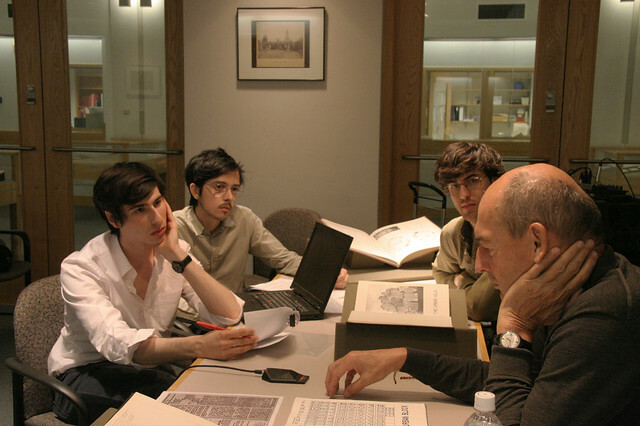 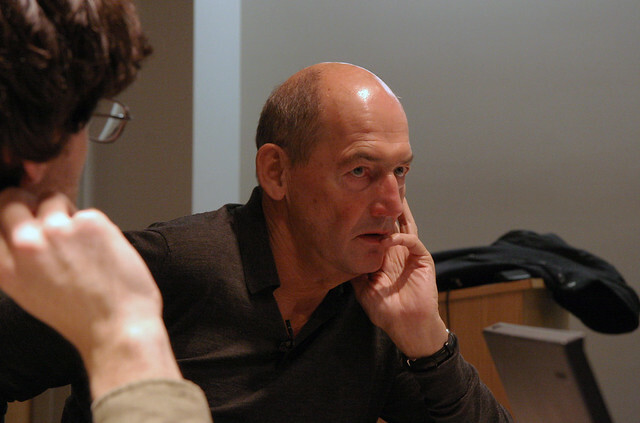 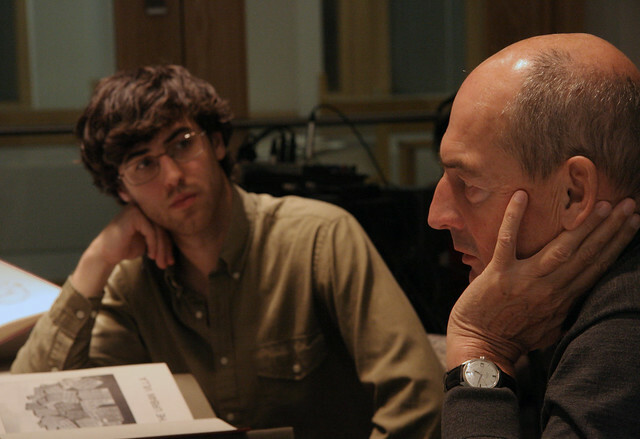 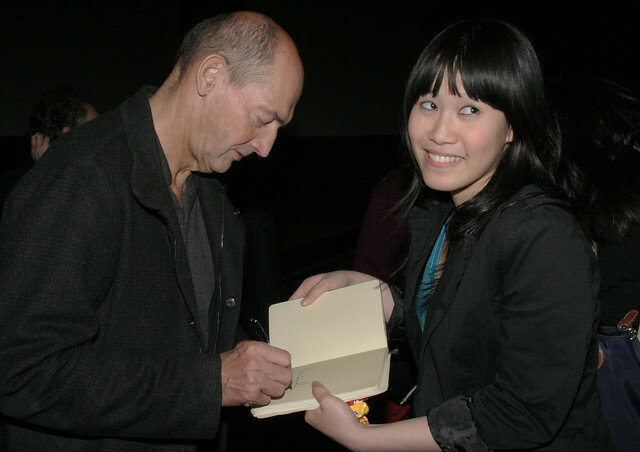 Koolhaas also met in Carl A. Kroch Library with four architecture students editing the next issue of the Cornell Journal of Architecture. 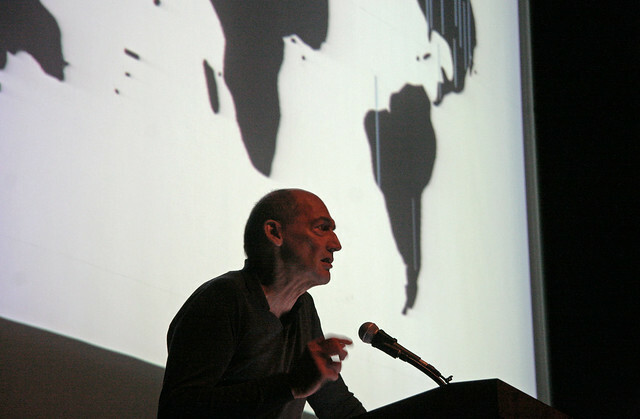 The interview focused on O. M. Ungers’s influence on Koolhaas — with whom he studied with in 1972, at Cornell — and other architects and urbanists and will be published in the forthcoming issue of the journal. 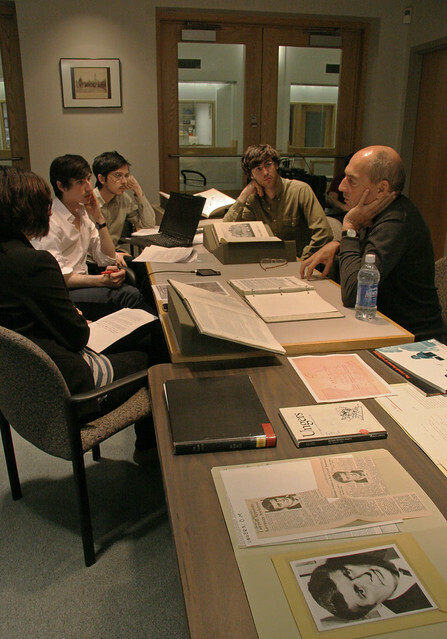 Many of Ungers’s archived papers were out and available for Koolhaas and the students to refer to during the interview. 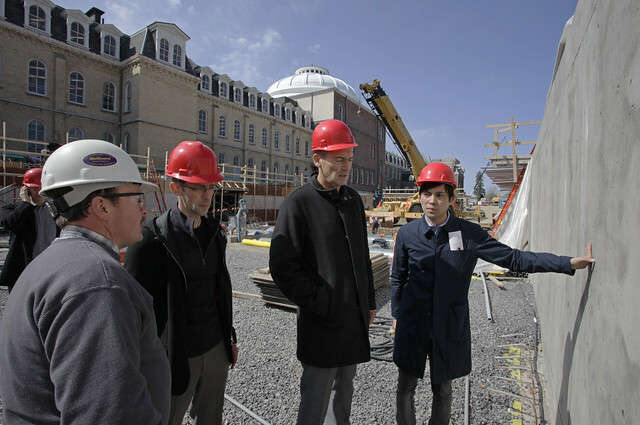 Dan Aloi, staff writer for the Cornell Chronicle, contributed to this story.